The Child Care Assistance Program can help families pay child care costs for children through age 12, and for children with special needs through age 14. Child care costs may be paid for qualifying families while they go to work, look for work or attend school. To qualify for CCAP, families must comply with child support enforcement if applicable for all children in the family. Care must be provided by a legal child care provider over the age of 18. Family size, family income and participation in authorized activities are considered. The amount of available funding also may be a factor. In some Minnesota counties there is a waiting list for access to day care under the Basic Sliding Fee program. There are maximum reimbursement amounts for child care providers who serve families participating in CCAP. Maximum reimbursement rates vary by the type and location of the provider and the age of the child. CCAP can reimburse providers up to applicable CCAP maximum rates, not to exceed the provider charge. Providers with certain accreditations or credentials are eligible to be reimbursed up to the CCAP maximum rates with accreditation/credential differential, not to exceed the provider charge. Counties are advised to use these copayment schedules. 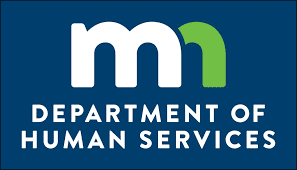 Minnesotans in need of child care assistance should contact their county human services office to apply for the Child Care Assistance Program (CCAP). To find out more information about CCAP, see the brochure, Do you need help paying for child care? If you need CCAP and health care coverage, cash and/or food assistance, you can fill out the Combined Application Form and the Combined Application. If you need CCAP, health care coverage, cash assistance and/or emergency assistance, you can apply online through ApplyMN. This site allows Minnesotans to fill out a single application for most public assistance programs.